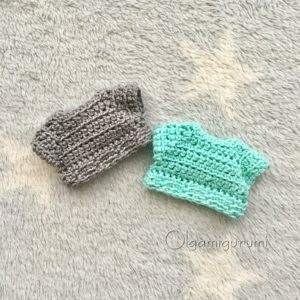 The free crochet pattern of a simple but beautiful blouse for Francesca. You can wear it with a skirt or pants. 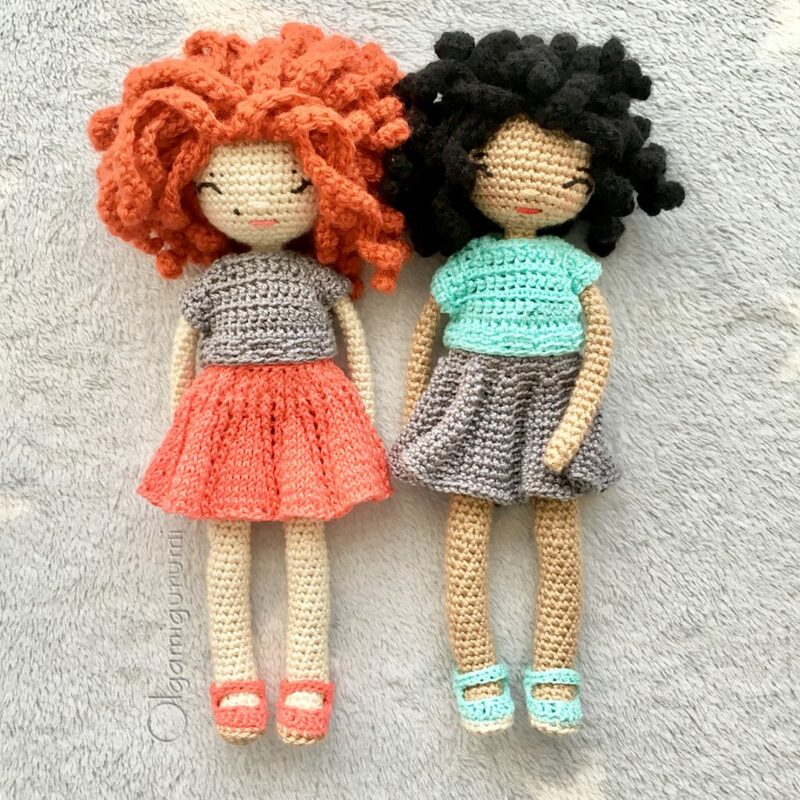 Also you can crochet it for other dolls. The full pattern of the doll is available in my etsy shop. For the doll size 24 cm I used the crochet hook 3 and cotton yarn 75gr/311m. A little button to button up the blouse. Working the front loops only of the stitches all the rows. Slst in the ch of the row 7. Now we will start working in rounds the front loops only of the stitches. Make a little loop with the yarn tail in the start of the work and sew a little button in the back to button up the blouse. Next Post: Free crochet pattern. Sun-bag.